Just look at these smug jerks, enjoying themselves on a Monday! Photo by me. Yesterday evening, I decided to celebrate my staggering mediocrity as a human being by hauling some beers in a laundry basket into my out of town neighbors’ backyard and jumping in their pool. There was nothing wrong with this per se; we had permission to use the pool and by the time I got home, my sister and cousin were already hanging out back there. I simply made it more lively by bringing some beverages and throwing on some Lionize. On the subject of Lionize, they are a perfectly respectable, fun, summer gathering playlist sort of band. You don’t have to play country songs for every July evening shindig. Shocking, I know. Anyhow, joining the impromptu pool party meant not going to the gym, so no complaints there. I entertained the notion of swimming some laps, but, you know, beer got in the way. At any rate I had already eaten two bagels at work, so today was already wildly off course. They weren’t even toasted with cream cheese or anything of the sort. They were warmed up in the microwave and eaten plain. I’m such a failure. The most noteworthy thing that happened at the office today was when I listened to the entire discography of Hundredth. No, seriously…Hundredth. There, uh, vocalist looks like Bruce Timm with a throat tattoo. That’s about all I have to say about Hundredth. Skipping the gym has never felt better. Between the beer, the company, the water and four spectacularly overexcited dogs, it was the best wrong decision made for the right reasons that I’ve ever committed to. Not that your fitness is something to be neglected. I mean, unless you eat two bagels at work, in which case you should just submit right now and sign up for hospice care. But maybe, If I learn nothing else from this, it’s that the weekend’s end isn’t something to be dreaded. Maybe? That’s my take. 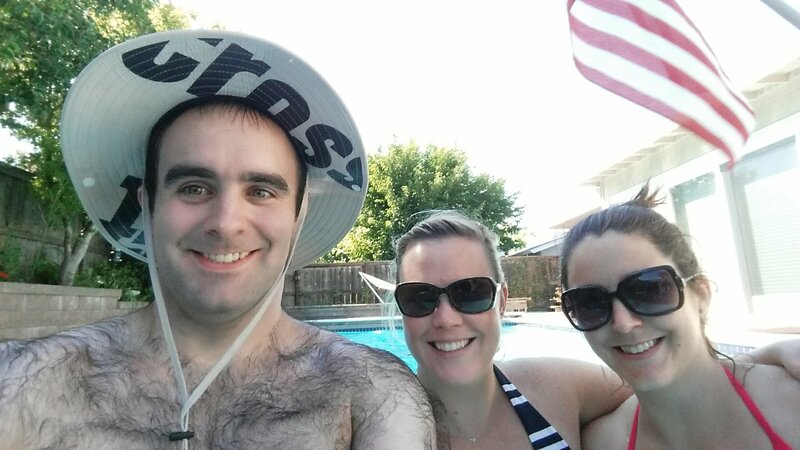 Posted on July 21, 2015 July 21, 2015 by Kyle P Wise	This entry was posted in IRL and tagged Summer. Bookmark the permalink.